“Mama, can we have a dance party in the kitchen? Why not? It’s Tuesday, it’s dinner time, why not have a dance about it? Dancing in the kitchen has become a ritual. Dancing in the car has become commonplace. (We often get looks from other drivers as we are all belting out from the Disney Pandora Channel.) Dancing with my boys has become a favorite pastime. Dance has been part of my life for as long as I can remember. 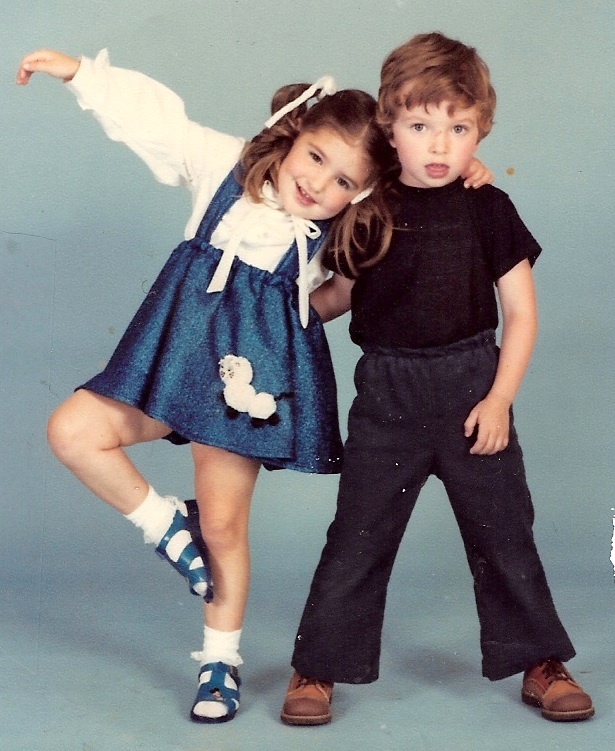 I’m the daughter of a dancing school owner, so I really didn’t have a choice growing up. I put on my tights and tutu, allowed people to curl my hair and put obnoxious amounts of rouge and blue eye shadow on me during my formative years. As the years passed, I was named “assistant” and eventually attained the coveted title of “dance teacher.” I adored working with youth in this capacity and learned more about adolescent growth than any college course could teach me. Dance has taught me about loyalty, perseverance, creativity, the true meaning of hard work, how to trust my gut, and most of all how to bring out the best in people. I’ve instructed dancers of all ages – pre-school through 12th grade, college students, adults, seniors, you name it. But my favorite classes have taken place in my kitchen…..to whichever country, toddler tune, show tune, Glee rendition, R&B song or 80s hair band jam sings from the iPod. My boys love to dance and I love to dance with them. We’re not wearing costumes, make-up or performing for anyone, but dance continues to be a strong presence in my life. It brings me such joy to be able to share this love with my children. I hope they can look back on our dance parties with as much fondness as I do. I never took dance lessons, but we do have regular dance parties in our kitchen as well! My daughter has been talking a lot lately about her desire to be a ballerina. So I will be looking into dance lessons for her very soon….so much fun!! I dance all the time with my son. It’s great to be able to connect in a fun way that we both really enjoy! We particularly like to dance while we clean. It makes the task much more enjoyable.